Elliot Yeo (2018 Ave: 106.6) finally delivered on his fantasy promise in 2018, he scored 100pts or more in 63.6% of games & 120pts or more in 27.3% of games in the H&A season. Yeo averaged 123.0pts from his final 6 H&A games, he became a reliable player for fantasy coaches slotting in nicely as a DEF. Yeo is set lose his DEF status next season, his ownership levels will drop significantly as a result but is still worthy of consideration. It was a very slow start to the 2018 H&A season for Jack Redden (2018 Ave: 96.2), he averaged 66.8pts from his opening 5 games but finished strongly averaging 104.9pts from his final 17 games. 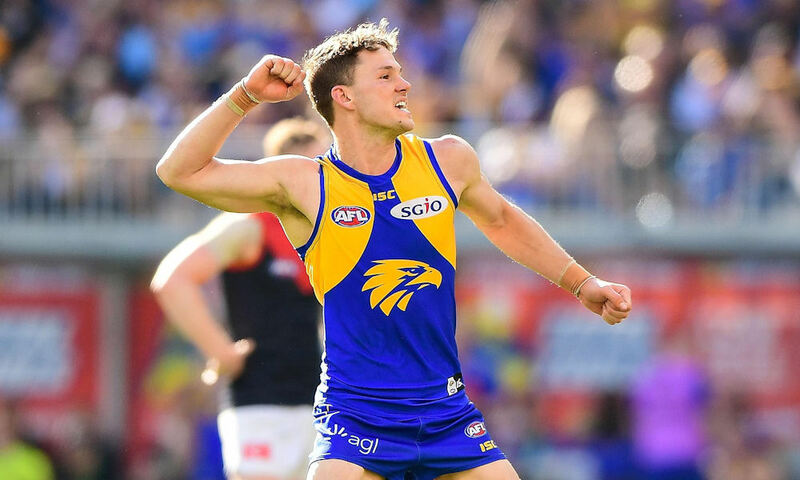 The West Coast midfield mix will be one to watch during the pre-season, you can expect Redden to be a permanent fixture hitting his high ceiling games during the 2019 season. A must consider. Luke Shuey (2018 Ave: 87.1) will be priced at a level that might interest a few fantasy coaches during the pre-season, an injury interrupted 2018 season resulted in his average falling below 90pts. In 2017 Shuey scored 100pts or more in 52.4% of H&A games, he averaged 112.1pts from his opening 11 games of the season. Shuey scored 100pts or more in 35.3% of games in the 2018 H&A season, after the drop in output in 2018 he is worth a spot on a pre-season watch list. Andrew Gaff (2018 Ave: 110.7) is set to leave West Coast for Nth Melbourne, the price tag at Round 1 going to a club that historically hasn’t been a high disposal team is alarming. Gaff might be an option for a mid-season trade if his price drops significantly.